Auc-Win! 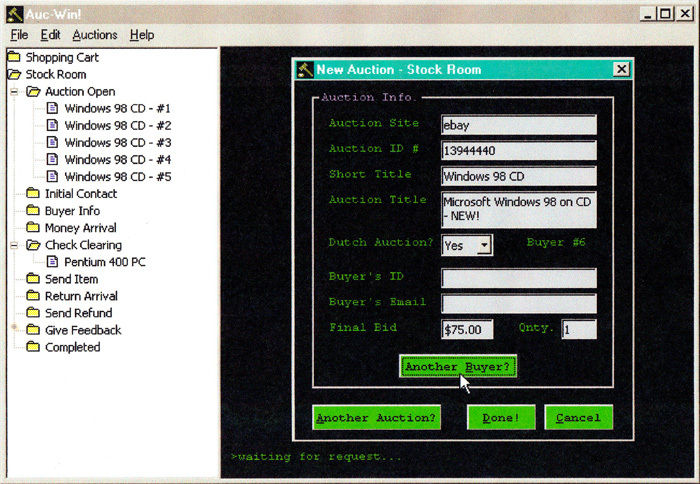 was a Windows 95 database application that I developed and sold independently. 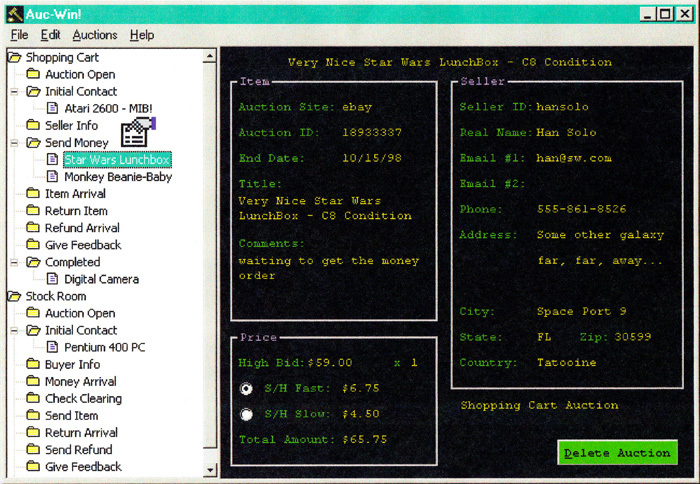 It was one of the first 3rd-party software programs written to create and manage eBay auctions. (this software vertical is now a billion dollar industry) It was marketed on eBay and aucwin.com with the very lovely catch phrase "When an auction is over - it has really just begun!" and imagery taken from the movie TRON without permission. It was only $9.95 per copy. I sold about 300 licenses. It had a legacy mainframe computer style to it which greatly confused most customers. The Wayback Machine has a copy of the home page here.